Welcome to our website! 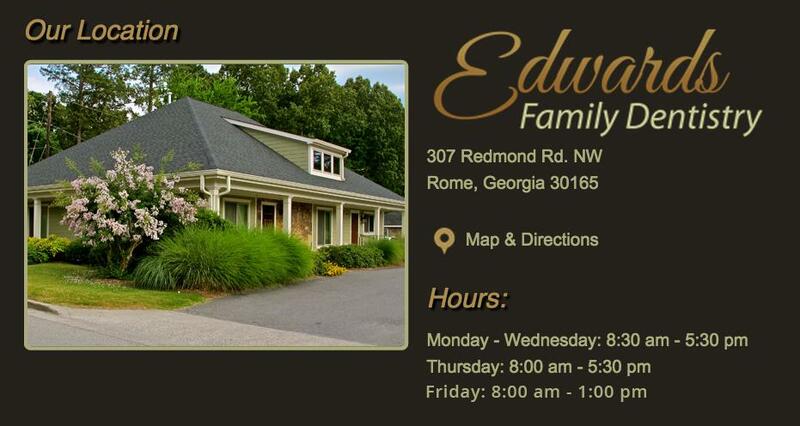 Since 1981 Edwards Family Dentistry has been honored to serve the dental needs of families in Rome, Ga. and surrounding communities. Each member of our team is dedicated to providing each of our patients with comprehensive dental care in a friendly, relaxed atmosphere. We believe that understanding your dental health is the key to making decisions about your care. Our role is to become your partner and provide information about your current situation and create a personalized plan to help you achieve your goals for your smile.